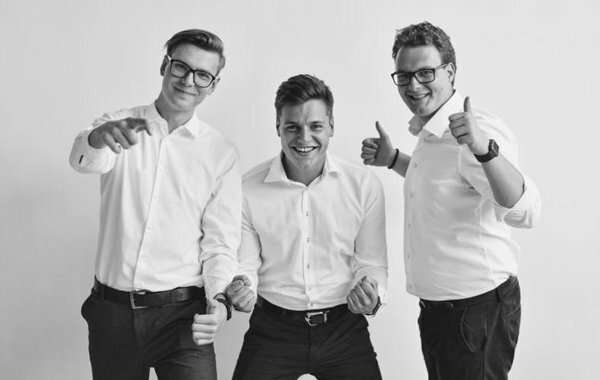 Meet Andriy, Nikita and Kostiantyn - three guys from Ukraine who started their start-up while studying at the University of Tartu. After validating different ideas at the University of Tartu IdeaLab and doing several pivots during their journey, they are now selected to TOP 10 start-ups among 389 teams to participate in ABC Slovenia - one the leading Business Acceleration Programs in Europe. Hirehunt team consists of three Business Administration students who participated two seasons in pre-incubation program at UT IdeaLab. They were also selected to take part in the international business development program Network Globally, Act Locally (NGAL) that took them to the United States. Now they will spend three months at ABC Slovenia, one of the leading business acceleration programs in Europe. “We were chosen among 389 candidates to join TOP 10 start-ups that are granted with solid investment, access to more than 100 mentors and business connections with 450 companies around the world,” explains Mr. Bondarenko. "Seminars and workshops of the STARTER program played a huge role in what we do and the way we work,” admit young men. They believe that participation in the pre-incubation program, mentors’ feedback and pitching events provide a true startup experience that shape team’s performance as well as professional and personal development. “Hirehunt team stood out for its extraordinary strong team spirit, determination to bring the best possible service to the market and contribute to their business model development,” recalls Maret Ahonen, Manager of IdeaLab, adding that she is happy for their progress that Hirehunt is a perfect example of entrepreneurial mindset and behaviour. Thanks for the kind words and congratulations for being selected to ABC Slovenia, team Hirehunt! To start your own success story, see you the first seminar of STARTER: Ideation and team building on Tuesday, 27th September in UT IdeaLab (Narva mnt 4).